Topic: [XP] MOVELESS::DAMAGE for Blizz-ABS! 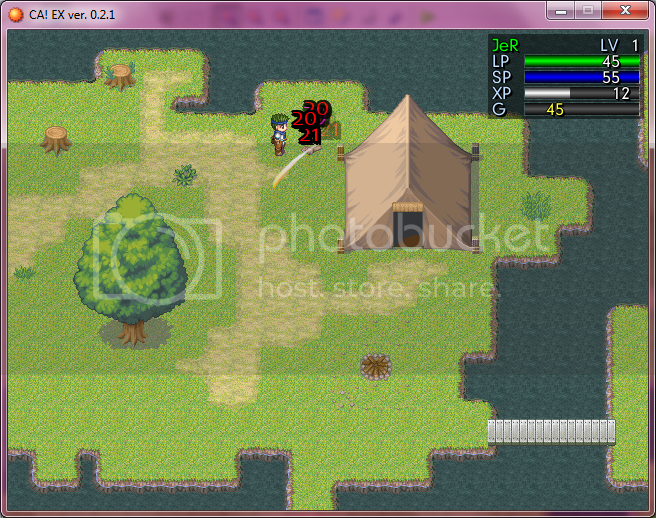 The script will disable the movement of the damage sprite when displayed on the screen. There isn't much a need for a full-on Demo. as it just modifies a few small aesthetic-styled details. # This will create a random location for the damage to pop up over the target. # This will STOP the damage from physically moving. # This will drag out the fading a bit longer, so you can see the damage longer. It seems to only function when inserted BENEATH the Blizz-ABS system. --So long as Blizz-ABS has used the damage drawing methods currently in use, this script should work. --I suppose it wouldn't work if something else was directly modified these methods. I didn't really write much, but me! Jragyn. Use it wherever, I don't care. Blizzard! Because obviously this piece would have no use/purpose. No special notes, just remember: Below Blizz-ABS Or it won't do anything! contracts he mandates with his ABS.